"The company has reached out to our lead lender, State Bank of India yet again and stressed on the need for urgent funding requirements, critical to the continuation of the operations of our airline," said Vinay Dube, Chief Executive Officer of Jet Airways. 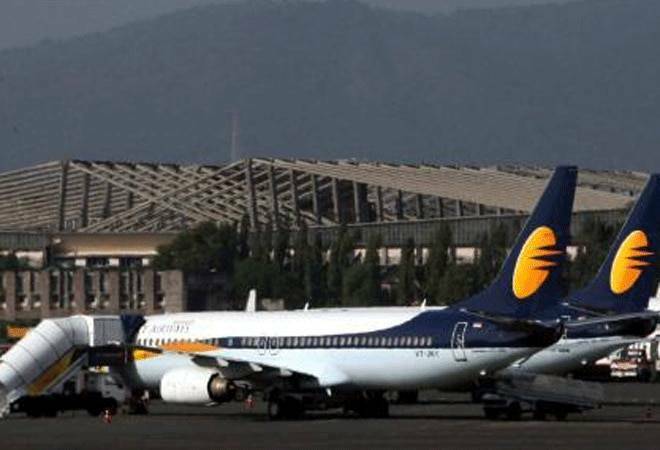 Cash-strapped Jet Airways has reportedly requested SBI-led consortium of lenders to release an interim fund of Rs 400 crore amid reports that the airline is likely to shut down temporarily as its current operational fleet further shrunk to just five aircraft, news agency IANS said. "The Company's leadership, in consultation with its Board of Directors, is engaged with lenders in connection with the emergency funding request to arrest a further deterioration of its services and minimise inconvenience to its guests," Jet Airways said in a filing to the Bombay Stock Exchange. The Mumbai-headquartered airline, in the exchange filing, said that the operations of the beleaguered airline have been severely impacted in the last few days due to acute fund shortage. In the letter to the lender, the company has highlighted the specific areas that will be immediately impacted, should the funding not be forthcoming, Dube said. "The company continues to work proactively with the Indian lenders to provide all the support which may be required, to help us resurrect Jet Airways, including working closely with the potential parties that are keen on bidding for the airline," Dube added. Meanwhile, the fate of Jet Airways continues to hang in balance with the lenders unable to reach a consensus on releasing emergency interim funds to the beleaguered airline in Monday's marathon meeting. In an email to anxious employees CEO Vinay Dube yesterday announced that with the interim funding still not forthcoming, Jet Airways has extended the cancellation of international operations till April 19. Early today, shares of Jet Airways tumbled nearly 19 per cent in intra-day trade after the debt-laden airline extended the cancellation of international operations till April 19 as the lenders failed to reach a consensus on releasing emergency interim funds to the airline. Paring some of early loses, shares of the company closed at Rs 241.85, down 7.62 per cent on the BSE. Also Read: Catch-22: Jet Airways has put bankers in a situation they hate!